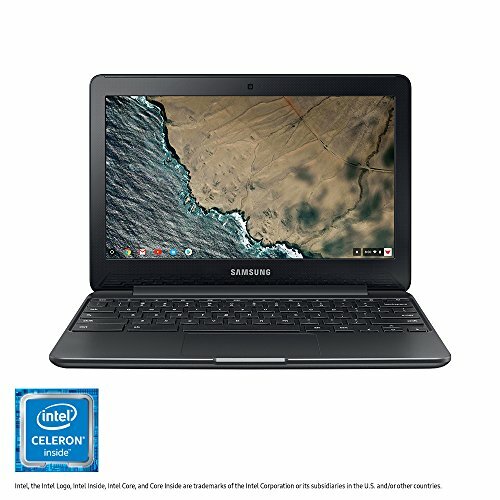 Samsung Electronics Chromebook Laptop!! HOTT!! Built-in security features ensure you're protected from viruses and malware. No setup or long load times-simply log in with a Google account, and you're in. Navigate your world with Chrome OS. Get the best of Google, Gmail, Maps, docs and pics and back everything up safely in the cloud. And since your Chromebook gets free updates automatically, it will only get better. A battery that gets up to 11 hours on a single charge means you can view the news over coffee in the morning, CHECK emails at lunch then surf social media after dinner, all without having to recharge. Plus it's made for the long run, since it continues to retain most of its capacity even after 3 years' use. The strong design you'd expect from a reliable brand like Samsung. Go ahead, let the kids use it to watch movies during snack time, or keep it in the kitchen without worrying about accidents thanks to a water-resistant keyboard.